Many sailors are opting for adventurous alternatives to traditional dinghies, making it more common to see kayaks, paddle boards, and inflatables trailing behind cruising sailboats. 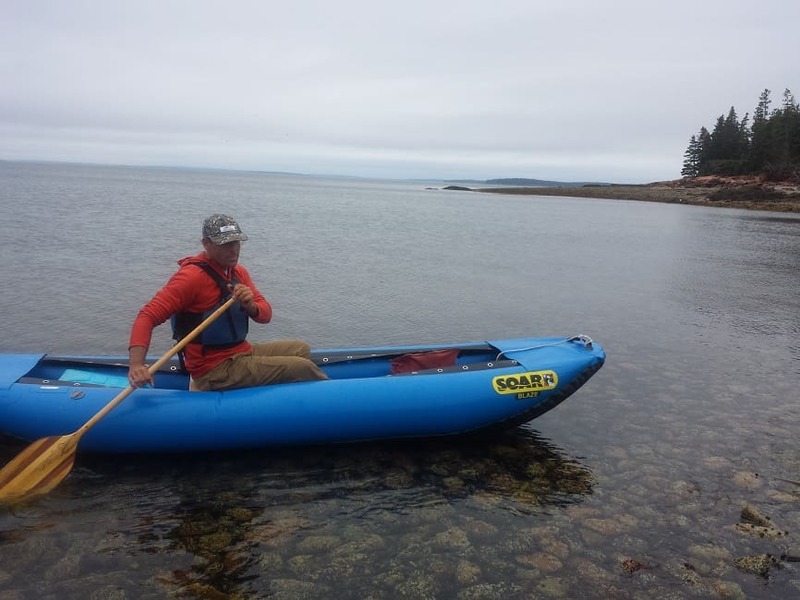 Guest poster, Jon Keller, author of Of Sea and Cloud, recently discovered a hypalon inflatable canoe that can go just about anywhere: down class V rapids, to shore and back with an outboard, and (importantly for the modern adventurer) into your luggage. My friend Papi and I stood in a light rain with beers in our hands as the river flooded past. Papi’s SOAR canoe laid at our feet, filled with our gear. I’d never seen a boat like it—it looked like a narrow whitewater raft—and I pressed its tube down with my hand, skeptical about its ability to carry the two of us and our gear through the upcoming whitewater. Papi didn’t think it was a problem. He’d flown down from Bethel, Alaska, with the canoe rolled up in his luggage. Over the years, he’d toted the thing around Alaska and Montana in float planes and pickup trucks, paddled lots of wild rivers, so a quick jaunt down the Grande Ronde didn’t seem like a big deal. And it wasn’t – I’d just never been in an inflatable canoe before. The boat powered through two day’s worth of whitewater, then we rolled it up and stuck it in the trunk and attended the wedding that had brought us both to eastern Oregon in the first place. Then we went our separate ways: Papi back to the tundra, me back to the coast of Maine, where I eventually ordered a SOAR. I didn’t buy it for whitewater, though that’s what they’re made for. 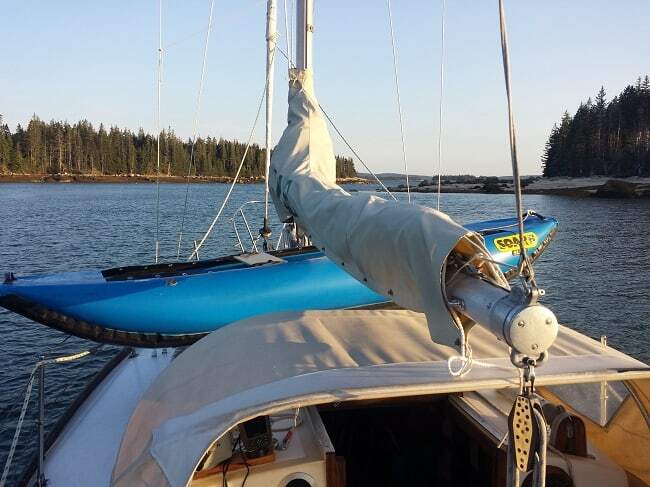 I bought it to use as a skiff, or a tender, aboard my sailboat, an old Tartan 34c. SOAR’s aren’t cheap, and part of my thinking was that if I didn’t like it as a skiff, I’d have a hell of a good river boat. Most of my friends in the west had evolved from being kayakers and canoeists into whitewater rafter families and a SOAR would enable me, the bachelor uncle, to tag along on their Snake River or Salmon River trips. Or, if and when I sailed to a place with good local whitewater, be it tidal falls or coastal rivers—Newfoundland or Costa Rica—I’d be ready to have some fun that didn’t involve wind and sails. Thus far, I haven’t brought my back-up river boating uncle plan into action, but the SOAR has been a great skiff. At 12’ long and just over 50 pounds (they come in a variety of lengths), I can easily strap it on deck by myself, or deflate it and stow it below. It’s made of hypalon, and made for serious whitewater—class III, IV, V type of whitewater—so it’s rugged. It’s stable, safe, super dry, and can hold a mountain of gear—I’ve had three adults, a full cooler, and two duffel bags in the 12’ Blaze model. And it’s fun to paddle. I use a canoe paddle because I enjoy doing so, but a kayak paddle would offer more power/control. 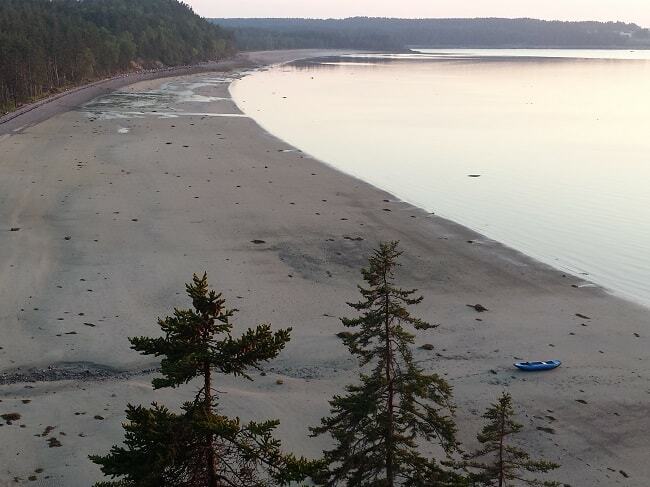 The SOAR makes a great play boat, be it under paddle in Maine’s tidal rips or as a dive boat to swim off of. I’ve even begun flipping it upside down to laze around on after swimming. Despite its versatility, there are some inherent downsides. Since it was made for whitewater, it spins on a dime, which translates to no tracking ability on flat water. With two paddlers, the boat is easily manageable, but with a single bladed paddle and a solo paddler, each stroke must be a corrective stroke, so novice canoe paddlers will struggle until they learn the J-stroke or C-stroke. 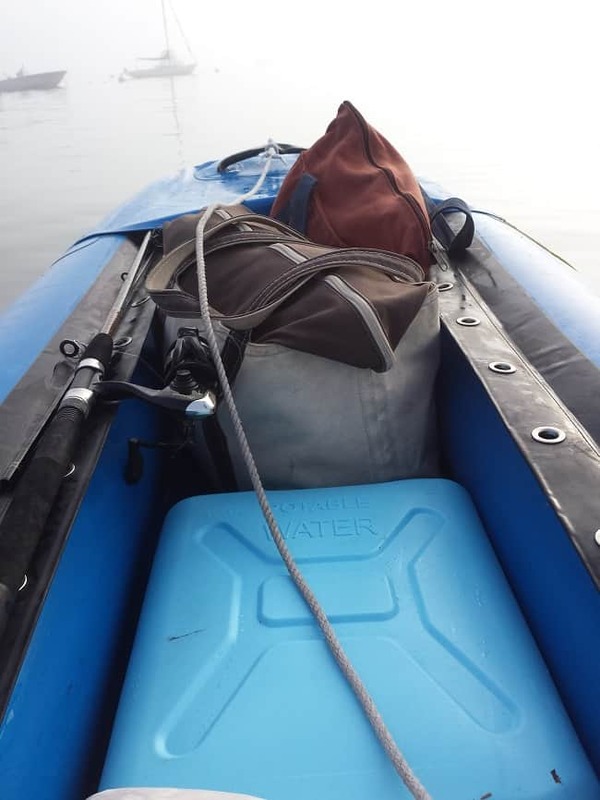 It can also be hard to paddle solo when loaded-down and facing a contrary wind or tide—though again, a kayak paddle would go a long way to remedying that, as would the addition of a small outboard motor or rowing setup that the SOAR can accommodate with a stock mounting bracket. All in all, it’s an incredibly versatile boat that’s a blast to paddle. It’s probably not the boat of choice for the average couple in their seventies, but for younger cruisers looking for a boat that’s both fun and practical, the SOAR’s a great option. It’s safe, rugged, fun, dry, and stable; and it can nearly disappear when it needs to. From a tight mountain river to the ocean, from the hold of a boat to the hold of an airplane, it will go anywhere. And the ability to go anywhere is the point. Jon Keller is the author of the novel Of Sea and Cloud. 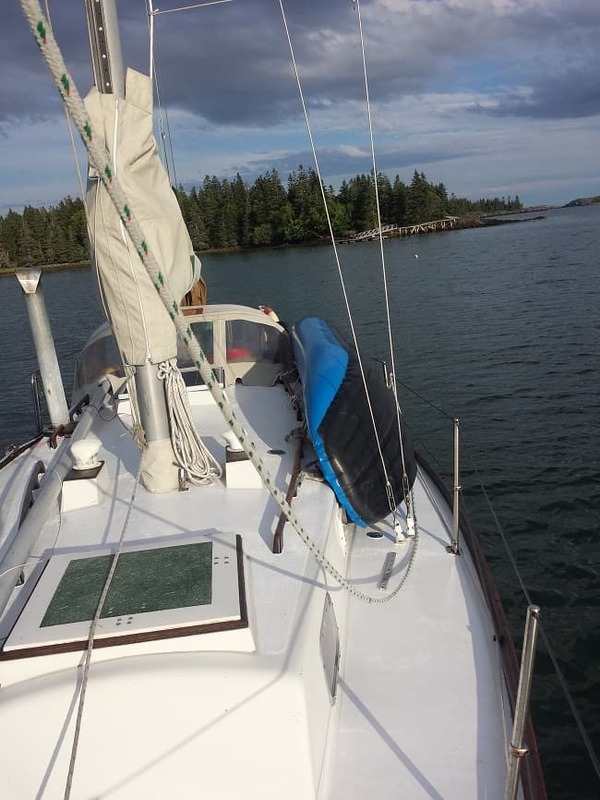 He divides his time between his sailboat and his cabin in downeast Maine.